Calling vintage car owners!!!! Our Eliot Ness Fest Planning Committee is experiencing its own form of "March Madness" as the July 19-21 festival draws closer. Only a limited number of slots remain for two vintage car/truck shows that will fill the streets of Coudersport at this year's event, providing the perfect backdrop. One show on Main Street will feature vintage cars and trucks manufactured before 1933. Meanwhile, Third Street will be lined by classic vehicles from 1934-1942. If you or anyone you know is interested in learning more or registering a car or truck, you will need to act fast. Steve Green is the vehicle show chairman and can be reached at stephenagreen1952@gmail.com, cell phone 607-423-6902, or landline 814-647-8508. Friday through Sunday, July 19, 20, 21 - 2019, in Coudersport, Pa.
2nd Annual Eliot Ness Fest: Touched by the Untouchable Friday through Sunday, July 19-21, in Coudersport, Pa. This one-of-a-kind festival celebrates the life and career of the famous lawman, who spent the final two years of his life in Coudersport. 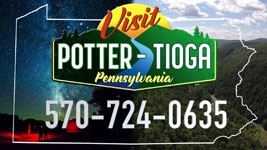 It is designed to both entertain and educate the public, while spotlighting the law enforcement community, reliving the Roaring '20s with captivating activities and attractions, and drawing visitors to Potter County to join in on the fun.